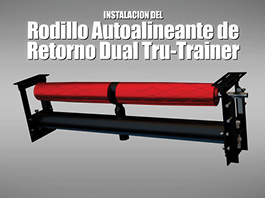 The Tru-Trainer® Urethane Dual Return was developed to accommodate the excessive forces encountered with wide belts and heavy loads. 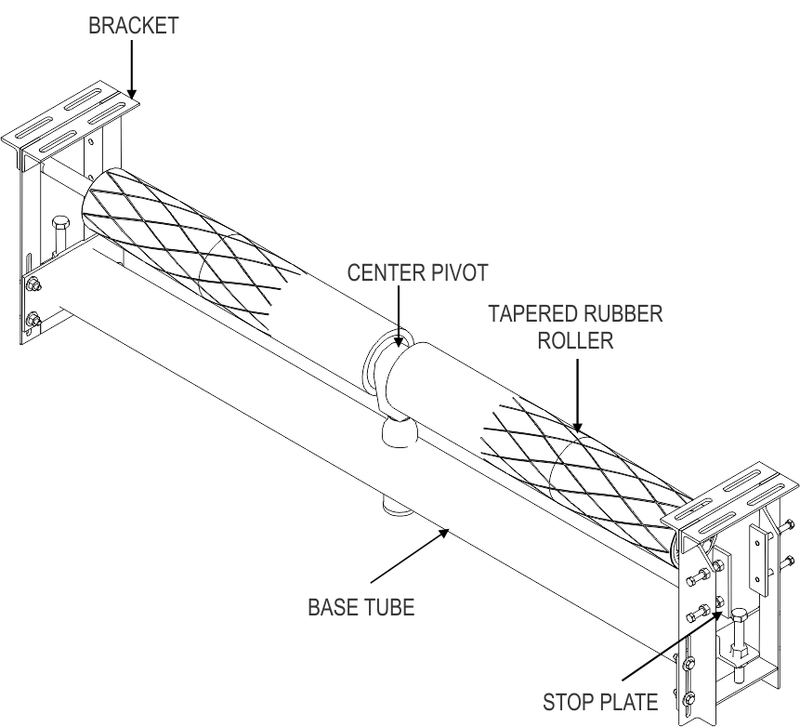 An external central pivot mechanism was designed, obviating the need for a single, large drum, and enabling a concentric and balanced rotation to be achieved. 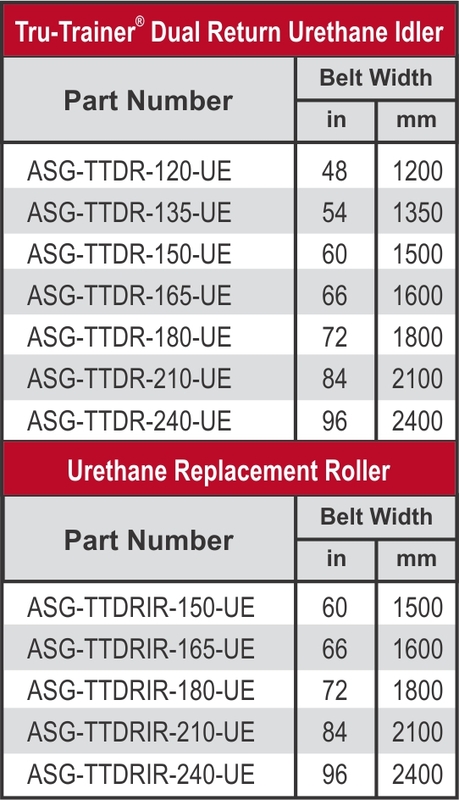 Excellent for Reversing Belt Applications. 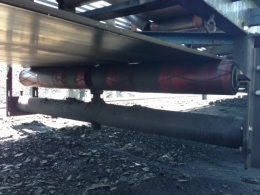 is severe conditions, wet and dry, and aggressive mining conditions. 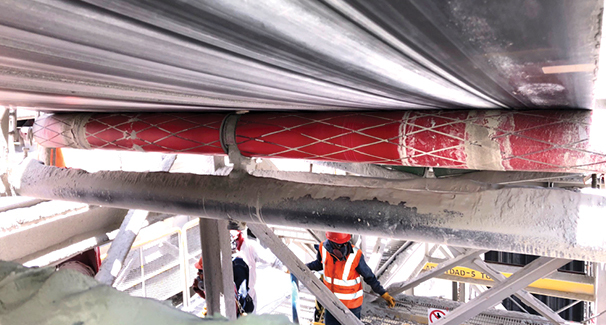 with wide belts and heavy loads. 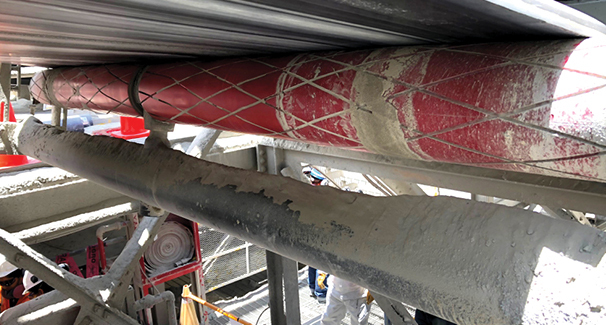 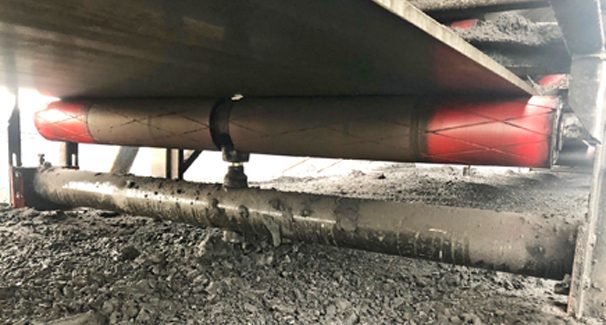 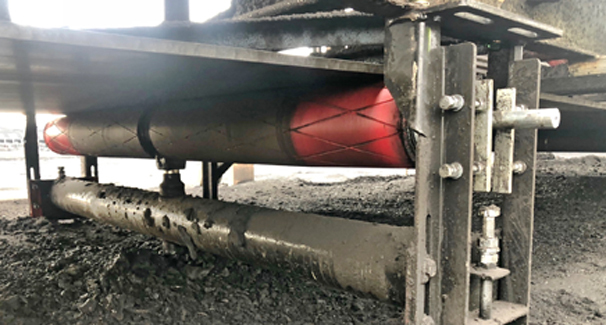 Dual Return Urethane Tru-Trainer working at a large underground coal mine. 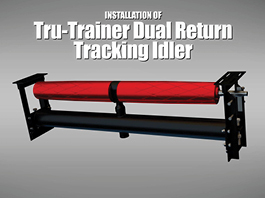 Dual Return Tru-Trainer belt tracker in application. 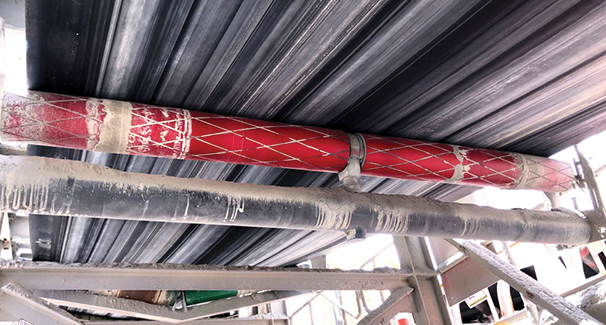 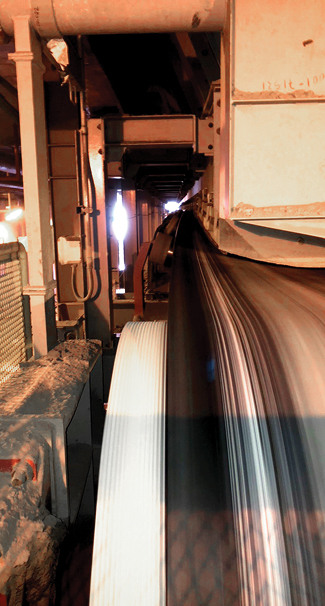 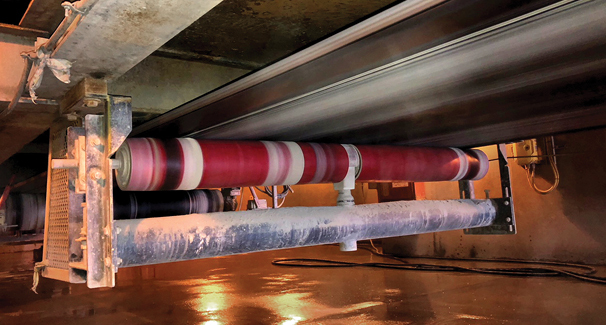 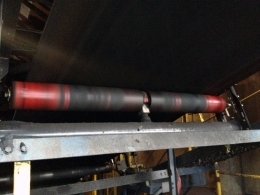 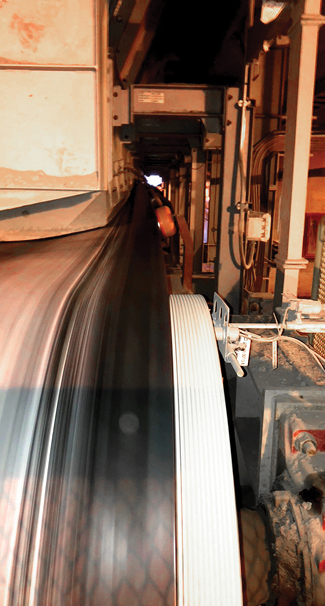 Urethane Dual Return Tru-Trainer installed on iron ore shipping facility conveyor.